The youth of today are the leaders of today. Use the navigation on the right to explore our 90-second video answers. - Black Eyed Peas, "Where's The Love?" Do you know someone who has been in a major car accident? Do you have a grandparent who needs your help to take care of them? Do you have a friend who always seems to get left-out, left-behind, pushed around, or looked down upon? These things are a part of life, and if you haven’t experienced them yet, you may in the near future. Here’s a simple idea: When we provide support for the most disadvantaged members of our society – by considering their unique needs and enabling them to maximize their potential – we raise the collective well-being and living standards for everyone. This is achieved by reducing crime, increasing production and helping to raise one’s sense of independence and self-sufficiency. This is a holistic philosophy on which to base our society: “one for all, and all for one”. Put another way, “No one wins unless everyone wins”. Our ambition of improving the world takes patience, vision, leadership, and action. It requires us to think outside-the-box, not just within a party-line. It needs us to ask new questions, instead of being satisfied with the same old answers. Are you afraid of what others might think of you? That fear keeps everybody the same, and doesn’t allow our humanity to grow. In fact, that “fear” is what stops people from standing up to an oppressive government, potentially leading to a dictatorship. The Party for People with Special Needs is about everybody. It’s not about a special group, it’s about you! Everybody has some sort of disadvantage, whether it is physical, emotional, mental, psychological, financial, etc. When we have the compassion to help each other, then we have the power to transform our planet. Those who have overcome severe adversities know what it takes to change the system, to be creative and to get things done – because it can sometimes be a matter of life and death for us. It’s not a game of pushing papers and looking cool. It is about “seeing things” in a totally different way! For example, is a democracy really what we want? If 51% of the people can vote to subvert the wills and wishes of the other 49%, would that be a world we’d want to live in? Unfortunately, our world today is actually worse than that, where less than 10% of the population controls more than 90% of the world’s wealth/resources. How do we change the system? One of the biggest challenges we face is that the information we receive comes to us from the very establishments and social systems we should most readily question. The education system, for example, was created by the military industrial complex, our media is slanted to favour select corporate interests, and even this political platform is run by Elections Ontario – which by its very nature has a vested interest in keeping the system exactly as it currently is. What is great about our system is that there is still room to speak your unique voice. The most important thing is not to win; the most important thing is to create awareness and inspire new possibilities of co-creation and cooperation that work for all. you discover you can be the soul of the solution. "- Paul Hoffman, "The World is Calling..."
We’re people with special needs. We’re your friend, we’re your relative, and we’re your neighbor. We’re everywhere. And we have special gifts to share. We see things others don’t. And we can help in ways others can’t. Maybe a person that does not have the label of “special needs”, can still see themselves as having special needs. We all have special needs, that are not being heard, not being addressed. The Party for People with Special Needs is about working together to get all of our needs heard, and to bring into light the power, spirit and love of all of us working together to get everyone's special needs met. What are some of the ways we can change the system? We can create beneficial and lasting impact by leveraging technologies like social media, creating a system of direct-democracy, implementing proportional representation, providing universal access, and encouraging barter/co-ops. These are just a few simple yet powerful concepts. Philosophically, it involves integrating measures of compassion, integrity, and citizenship into our daily living, commerce, and governance. we can love others for everything that they are. When we help people with disabilities, we help everybody. We are the ones you have been waiting for. We are The Party for People with Special Needs, the party that recognizes that we are all valuable members of our communities and that everyone must be given the opportunity to live with dignity, respect, and purpose, no matter what our individual circumstances may be. Support this vision for a brighter and more loving future... for everyone! Interact with me on Facebook at http://www.facebook.com/OrdinaryWords. Where all people are part of our community. P.S. Like Barack Obama's success was largely due to the grass-roots social media movement, you too have the power to make a substantial difference, right at your fingertips! How about sharing this with your parents or other relatives? Share this with your past teachers. Forward it to your friends. At the very minimum, you will boldly demonstrate to the media the collective power of Ontario Youths. Imagine the statement you will have made, where everyone else hears that you elected a member from the Party for People with Special Needs. This is your opportunity. Take it. Use the Facebook, Twitter, and e-mail icons on the top-left of this page. If you need to get inspired first, press play to listen to the music video below. P.P.S. I am running in Toronto, Trinity-Spadina. A PDF version of this introduction can be found here. Born a blind, Pakistani, albino to immigrants parents on welfare; Danish Ahmed has beaten all the odds. He has been involved in countless model parliaments and special programs like Forum for Young Canadians, Presidential Classroom, the Future World Leaders Summit, and the Inauguration of then U.S. President, Bill Clinton. He’s founded a dot-com, wrote a best-selling book, is a keynote speaker, and is a respected icon in the personal development industry. 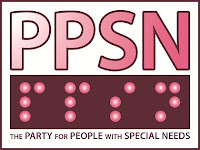 The Party for People with Special Needs was established in 2007 and ran in the provincial election. While not elected, the party still helped families with disabilities receive over $2.4 million from the government. Danish Ahmed has several family members with disabilities, and his family has already been noted in the press as causing certain laws to change for people with disabilities. He is a social media expert, and his “Love Movie” has been seen by over a million people. I believe it’s important to mention that I’ve always been pushing against the conventional system ever since I was in elementary school. In fact, my internal motto was, "The whole system is ! *#@, everyone knows it's ! *#@, and nobody will do ! *#@ about it!! So why should I ! *#@ myself over it?" As you may tell, I have significantly changed. And now so too can the system. "You must be the change you want to see in the world." Rather than focus on promises, I'll share with you what I have already done. These are the values I believe we would want in someone to represent us and lead our province/country. The ability to deal with whatever happens. My school didn't allow me to touch computers because I wouldn't be able to "see them". But, I did get my hands on them in grade six. I took grade twelve computers when I was in grade eight, I was the first person in the Toronto Board of Education to take co-operative education in grade nine, and I taught computer science classes when I was a teenager. I lobbied and was granted funding for a new club in my high-school, called DECA (a network of business clubs across North America), which still exists today. I ran for student council treasurer, was the vice-president of the debating society, and organized and won awards during inter-school tournaments. Knowing that anything is possible. I attended the Central Ontario Regional Parliament in 1992 and later was elected Leader of the Opposition. I also attended several other non-partisan regional youth parliaments including Ontario Model Parliament, and became the Opposition Minister of Finance for the Ontario Youth Parliament (which I now serve on the Board of Directors). I flew to Vancouver for the Western Canadian Youth Parliament, and also participated in the British Columbia Youth Parliament as an ambassador the subsequent year. The Forum for Young Canadians was an amazing week workshop in Ottawa, Ontario, where I spent time with real members of parliament. I was invited to Washington, D.C., for the equivalent program called Presidential Classroom. The year after I attended the Future World Leader’s Summit, and then was invited to the Inauguration of then U.S. President, Bill Clinton. In Budapest, Hungary, I attended the Harvard World Model United Nations. I have been an active Toastmaster, an Area Governor, and was a speaker at the Toastmasters International Conference in Atlanta, Georgia. I've done youth exchange programs in Trois-Pistoles (Québec), Jõhvi (Estonia), Adelaide (Australia), and Paris (France). I've also travelled to Cuba and did Umrah in Saudi Arabia with my mother who I still speak to in Urdu. Being able to relate with all people on all levels. I've taken piano lessons, singing lessons, jazz dancing, ballroom dancing, improv, white-water rafting, rock-climbing, hand-gliding, sky-diving, nia, yoga, jiu-jitsu, and have participated in literally hundreds of personal development programs. I've interviewed stars from the hit movie, "The Secret", including Bob Proctor, James Arthur Ray, and received personal mentorship from Chicken Soup for the Canadian/Parent's Soul, co-author Raymond Aaron, and one of the pioneers of the personal growth movement, Marcia Martin. I've volunteered in mentorship/leadership roles for Youth In Motion, Youth Assisting Youth, Junior Achievement, Youth Leadership Camps Canada, the Canadian National Institution for the Blind, and Operation Eyesight. Following through on projects, promises, and passions. In 2000, my best friend and I acquired $1.5 million in venture capital for our technology platform. 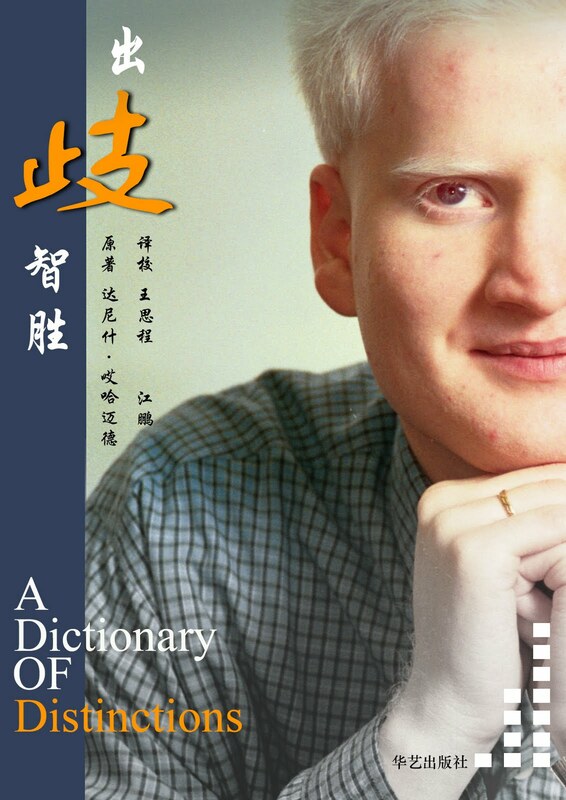 In 2003, I published a self-help book that became a Canadian best-seller, got translated into Mandarin and scored me a tour in China. During 2005 and 2006, I co-produced a Broadway-style musical called “I DECIDE” with an after-party that ran every Saturday night! I worked with Stuart Knight, who created an entertaining show for high-school students that toured across Canada for several years called "A Whole New Perspective". Understanding the purpose of our humanity. In 2007, my friend (with decades of experience in the Green Party) and I decided to create The Party for People with Special Needs and ran in the provincial elections (just to run, without any effort, campaigning, marketing, etc.). Much to our surprise, we had more votes (in the ridings we ran) than some of the other parties. And even though we were not elected, we still helped families with disabilities receive over $2.4 Million! This gave us great hope that people like you resonate with our message and are committed to transforming the world. This year, you can help. Last couple of years I've spent building the Canadian arm of an organization called Humanity Unites Brilliance, where we collectively raised over a million dollars for charities around the world. That company got acquired by World Ventures Inc., and then I spent my time creating a residual income through a telecommunications network marketing organization that does more than half a million dollars a month in sales volume. Exercising the human spirit to manifest a world that works for everyone. I've always thought that it was possible to significantly change the world for good within my lifetime. Some people don't think it's possible, mostly because they don't know any of the solutions that are already emerging around the world. As my contribution to this growing awareness and shift in our collective consciousness, I compiled an extensive list of ideas, solutions, and organizations into a multi-media blog that illustrates hundreds of practical ways we can rid the world of war and corruption. Now I can represent you at Queen's Park. The mainstream media is not (yet) sharing information about other parties, like ours. Share this on your social networks, demonstrate to the mainstream media the power of viral, and encourage them to talk about us. I'm almost thirty-five years-old, but still live with the wonder and playfulness of a child. “There's a war out there, old friend. A world war. And it's not about who's got the most bullets. It's about who controls the information. Question: "As of now, most high school students have very limited contact with politicians and virtually no way of voicing out their concerns. What will you do to increase communication with the average student in our high schools in order to resolve their concerns regarding the education system?" I would do a tour of high-schools across Ontario and talk with people like you personally. I know that education is the foundation of so much in our society, and if students are not inspired to transform the challenges of our time, then the challenges of our time will have us become extinct. One idea is to work directly with those taking politics or world issue courses because they obviously demonstrate a passion and desire to contribute to a greater world. Perhaps we could expand the role of the Minister of Children & Youth Services to also have a student counter-part that could be the voice of the student body working directly with a member of parliament. 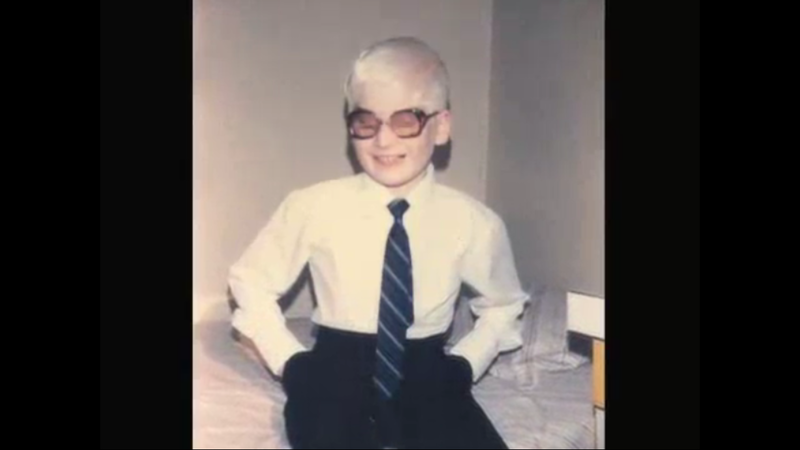 As an albino (this skin condition), and being legally blind, I faced so many social and institutional challenges through our educational system. It was frustrating trying to convince authority figures to help me. I tried complaining, writing letters, and eventually learned how to make the system work for me. As a government, we should provide effective platforms that leverage social media and accessible technologies for all, promoting a freer Internet, and supporting more non-profits, charities, youth organizations, and grass-root programs that serve to better our governance. We could help you create another political party, perhaps called, "The Youth Party of Ontario". While students cannot be signing officers (under legal age), there could be a system of simply using your parents as signing officers, or another designated adult, perhaps teacher representatives from chosen schools. We could show you how to create this party, and perhaps do most of the paperwork with you. We believe in having as many options as possible. Let's inspire the world to create similar parties around the planet! We suggest making the feature-length documentary Oh Canada: Our Bought & Sold Out Land mandatory watching for high-school students. We can further encourage artists to create and publish their own video blogs as a modern form of activism and awakening others to their concerns and solutions. The Ontario Youth Matter! (OYM) campaign for better youth policies is a network of community organizations calling on the Ontario government to implement a Provincial Youth Policy Framework. We also agree with the Green Party about lowering the voting age to 16. This will give, those who choose to take it seriously, an opportunity to take responsability for our world at an earlier age. We can use--and need--the solutions of your generation. Whether we get elected or not, we would still like to come and speak at your school. Have your student council get in contact with us. Indeed, it is the only thing that ever has." Question: "During a politician's time in office, it is inevitable that they will face a difficult decision. As premiere, your input would greatly influence the solution. In your mind, would you base your decision on personal values and what you feel is best, or decide on something that could be for the greater good of the province (even if it is against some of your values)?" I was co-producing a broadway-style musical, and realizing that much of our money was spent promoting parties and selling alcohol. Although that conflicted with my values, I was passionate about the musical’s greater-good of bringing positive thinking to society. My positive contribution allows me to sleep with a clear conscience. People are the most important... more than institutions, more than religions, more than profits, and more than governments. And it starts by being true to ourselves and being guided by our spirit. My values are not static – they have changed over the course of my life. When I get new information and experience (such as the benefits of a greater-good scenario), then I tend to shift my perspective because that is part of the human learning experience. My favorite quote is that “for every profound truth, the opposite is often another profound truth.” The art of living and leadership is not so much following the right philosophy, but the wisdom of knowing which philosophy to apply in which context. Contradictions and paradoxes are a part of life. Here are some fun examples from our culture. There's the story of the fly who keeps banging its head against the glass window. It doesn't realize that there's a window, so it keeps trying. Unfortunately, it keeps trying until it dies of exhaustion. Some would say that insanity is defined as doing the same thing over and over, expecting a different result. The lesson here is "if you want a different result, do something different." What about the story of the rock-cutter who keeps axing his rock over and over again? After ninety-nine hits, the rock is still solid. On the hundredth hit of the axe, the rock splits in two! Was it the hundredth hit that was so powerful, or was it the persistence of the ninety-nine hits? "Keep trying and you'll eventually get what you want" is the lesson here. Both these stories make valid points, even though their morals seemingly contradict each other. without holding on to what makes me human." See what I value by reading my detailed biography. Question: "There is no denying that modernizing the Ontario electrical grid would save vast amounts of valuable energy. Will you take the initiative to start this important process, and help move Ontario forward?" The process of modernizing the Ontario electrical grid has already begun. Before claiming authority about this subject, it is important for the government to humble itself and realize that there are already groups, communities, and organizations that have plans. For example, the G.hn standard has already been developed that provides the ability to transfer data over power lines. Other smart grid technologies provide many obvious and not so obvious benefits, like having safer and more efficient appliances. It also provides Internet access at reduced costs, making it nearly free and accessible to everyone. There’s also the Zeitgeist Movement, an international grass-roots organization which is developing a sustainable resource-based economy. It is important for our government to allow these kinds of organizations to function and provide input so that we can work together. It’s time to collaborate with these visionary groups. From its extraction through sale, use and disposal, all the stuff in our lives affects communities at home and abroad, yet most of this is hidden from view. The Story of Stuff is a 20-minute, fast-paced, fact-filled look at the underside of our production and consumption patterns. The Story of Stuff exposes the connections between a huge number of environmental and social issues, and calls us together to create a more sustainable and just world. It'll teach you something, it'll make you laugh, and it just may change the way you look at all the stuff in your life forever. Press play to watch below. Watch the Story of Cap & Trade. When you turn 19, join Green Drinks for monthly socials. Every month people who work in the environmental field from around the world meet up at informal sessions known as Green Drinks with a lively mixture of people from NGOs, academia, government and business. Question: "What are some of the ideas you have for helping youth to find employment?" I know the job market is terrible, and most of you are worried about your ability to get a job and simply survive. Be open to part-time, freelance, or volunteer opportunities. That’s what I did, as I started to develop an entrepreneurial mindset, and eventually started by own home-based business. I knew that before there was the industrial revolution, people were all entrepreneurs. They didn’t rely on a boss for a paycheck, nor does everyone need to. What’s important are developing/helping you develop skills for daily living, and cultivating talents you can barter and trade. Get involved in co-ops and communities that leverage their resources so you don’t need to use as much money to live. All these new possibilities are available for you at your fingertips through the Internet. Think of an idea for a business, and then find people and associations that can help turn that into a reality. Our government can support you by offering more programs and loans for entrepreneurs, such as a microloan programs for students, which have been proven to be successful in other countries. Browse through our Youth Entrepreneurship Info-Guide. Charity Villiage is a great resource which combines job postings, volunteer opportunities, education, and news in the non-profit sector. FREE COACH! There are lots of volunteer coaches willing to support you in your life skills. Check out Future Possibilities. FREE BOOK! Occupation: Change the World is a research project and program which is answering one question: How can people in their twenties make money and change the world? FREE SCHOLARSHIP TRAINING GUIDE! Have you heard about scholarships but don't know if or how you should apply? This is a free Scholarship Training Guide written for you. FREE TRAVEL! Take this time to develop your life skills by learning about youth exchange, educational, and employment programs all over the world. Start your search with Canada World Youth, Youth Challenge International, World Youth International, AFS Interculture Canada, Katimavik, Up With People, and Encounters with Canada. That Free Thing is a service that will provide you with five freebies you can use every week. Some you will like, some you may not. But it's FREE, so use what you can and share it with your friends. When you turn 18, you can upgrade and start earning income simply by sharing the web site with your friends. But, you don't need to be 18 to start getting FREE stuff right now, and building your network before you need it. 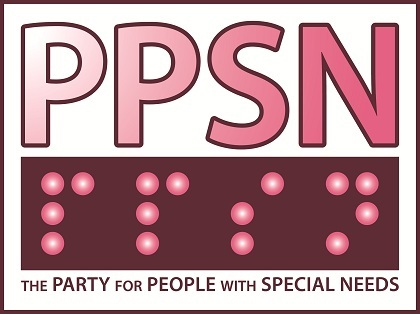 Simply enter your e-mail by clicking on the image below, and you will be supporting the Party for People with Special Needs, because it is PPSN's position (Dan King is our CFO) that may receive income from this link. Build your future business now, support PPSN, and get FREE stuff!! How cool is that? Question: "Living in a rural town with only one high school I find it hard to take specific classes or be provided with the necessary tools and resources I want because there is no money for it. What would you do to help the smaller schools with this issue?" Yes, the purpose of the HST is being achieved. But how is that relevant, when the purpose was to be a tax-grab, bring more power to government, and create a distraction from more significant issues? As a small business owner, I know the HST increased my administration cost and taxes payable without any benefit. Talking about whether it is 13% or 15%, or two taxes or one tax, distracts most people from understanding that the entire tax has evolved into something mismanaged with selective enforcement. In a ideal system, taxes would be collected on things the government wants to discourage (like alcohol, cigarettes, drugs, pollution, environmental waste), and no taxes on things the government would want to encourage, like general commerce and trade. Press Play to watch this 4-minute excerpt that generalizes how the war machine works. don't do anything about it." I grew up as an immigrant, with my family on welfare, having both blindness, and a severe skin condition. Can you imagine how difficult it was for me, needing so many extra devices, but not having any money to acquire them? In life, we get what we get. While sometimes we may want more, it’s far more productive to use what we already have most effectively. You don’t necessarily need more money – you need more creativity. Be resourceful. Some of the things you think you need, most people in other countries never get. That may not be nice to hear, but rather than promise stuff that won’t be delivered, I’d rather give you the straight goods. One of the ways we can make a difference is to provide more on-line education and resources. Leveraging social media could provide you with real-time access to the classes and the resources you need that reside unutilized in other parts of the world. When we make technologies like this accessible to all, we also make them accessible in remote places/rural areas, in varying languages instantly, and with remote-employment opportunities! The Virtual High School (Ontario) has made a commitment to providing the best education possible via the Internet. Students and parents alike may be assured course content is second-to-none and administered in a secure and professional manner. FREE REPORT! Discover how you can get so many things for FREE. Check out this great report, 15 Fabulous Paths to Getting Anything You Want... and the Art of Being an Honourable Freeloader! Question: "With food costs skyrocketing, what will you do to help small-scale farmers support their local communities? With food costs skyrocketing, what will do you to encourage communities to choose local food? Most people will choose wisely when they are aware of their choices. Most people are unaware simply because you and I haven’t taken the initiative to inform them of what they are consuming and what alternative options are. So tell your friends about genetically modified organisms. Tell your family about the harms of fluoride in the water. Talk to your neighbors about MSG, BPA, and aspartame. And it’s working. Organic food used to be laughed at, and now it is a permanent section of most mainstream grocers. What’s most important is for the government not to get in the way or block people from growing their own food. Legislation that prevents people from self-sustainment makes people dependent on a government that will ultimately enslave them. And we don’t want that. The Organic Agriculture Centre of Canada (OACC) conducts organic farming research and provides knowledge transfer and extension services for organic farmers. Work with organizations like Seed Your City and grow local, organic food in urban agricultures. There's a great talk from an eleven-year-old about what's wrong with our food system. Press Play to watch an entertaining video about the big picture for gaining back your health freedom: Use long-lost natural healing practices and land stewardship now (today, everyday). Question: "What will you do to protect our economy if/when the United States defaults on their debt?" The U.S. government has already clearly stated that they will continue to print money, which means they will not default, albeit there will eventually be hyperinflation. The best way to protect our economy is to continue to be a shining example of how to run a financial system. American banks defaulted in 2008, and no Canadian banks have defaulted. Financial experts from around the world are coming here to learn how we did it! In the event there is a financial/political crash, what we are and will continue to do is develop and promote alternative systems of commerce and governance. For example there are lots of barter networks like LETS (Local Exchange/Employment Trading System) and TimeRaiser.ca. Look at alternative currencies, such as the Digital Coin, bitCoin, Time Dollars, and The Toronto Dollar. There are also great videos on YouTube that explain the evolution of money, where we came from, where we are, and what our choices are today. See links below for more! Watch Money As Debt Movie Trailers & Feature-Length Films: Watch the trailers on this special site where you can also watch the entire feature-length of Money As Debt I & Money As Debt II: Promises Unleashed for FREE! Also watch the trailer for Money As Debt III: Evolution Beyond Money which illustrates practical solutions to transforming our world economy. World leaders and activists from around the world gathered for the G20 Summit. With over 19,000 police officers and security personnel on hand, the results lead to over 1100 arrests, martial law in downtown Toronto, and the most massive violation of civil liberties in Canadian history. The best way to protect ourselves from the US economy is to watch and share activists movies like the feature-film, Into The Fire. Press Play below and start watching. and too small for anything but love." Question: "In the hospitals, the waiting time is unbearably long. Numerous times when I had to go I had to wait for 2-3 hours or longer just to get a cast on. I'm not sure how the paying system really works in the hospital, but it seems that the longer they have a patient there the more they get paid. Why is it like this? Would it change and if so, how long would the wait even be? And would you get more doctors and/ or let them have a conversation between each patient?" The wait time charge is only applicable to those that stay overnight. It’s a complicated system because it has had so many patches and band-aides put on it over so many years. At age thirteen, I was diagnosed for depression. I took all sorts of anti-depressants and saw a psychiatrist three times a week for four years. Most of that didn’t make a positive difference, but gave me negative side-effects. It was through my own personal development and spiritual journey that I was later able to turn my life around. I know how broken the medical system is, but rather than trying to fix a system that is broken with more patches and band-aides, we need to start acknowledging other forms of treatment that work. The healing arts supports a diversity of modalities that are practiced successfully in countries and cultures around the world. Some may not be appropriate for medical conditions like changing a cast. But, if we can allow more people to get alternative forms of preventative care, then we will have less people in hospitals, and more people living the lives they choose. While it may seem like the healing arts are new for some, they are not. The Transformational Arts Collegs, for example, is celebrating its 23rd anniversary. Press play to watch the extended trailer of Believers Beware which discusses the pharmaceutical industry. Question: ""My older sister will be starting school in September at McMaster University and I hope to join her in two years. With two people planning to attend University the cost of tuition is unreachable. Why does it cost more in Ontario for post-secondary education then the rest of the provinces and Canada? And how do you plan on making post-secondary education more affordable?" A simple way of lowering costs of education is creating/promoting Internet Universities, where there are pre-recorded lectures and course materials on-line, with interactive questions for students from around the world. I know many of you have been told how important and imperative University education is for your entire life. I was told the same thing for eighteen years, by family, friends, teachers, and counsellors. And, I became a successful business owner without attending university. Today, university education isn’t the only option... Maybe if you want to be a teacher, doctor, or lawyer – but there are so many more occupations and career paths today that do NOT require a university education. Other options include colleges, trade schools, and apprenticeships that can open up fantastic opportunities for your carreer. It is far more important to get the right education (like mentorship from an expert in your field of study), rather than formal education that may cause you to go into unnecessary debt. The Institute of Noetic Sciences (IONS) conducts and sponsors leading-edge research into the potentials and powers of consciousness—including perceptions, beliefs, attention, intention, and intuition. The Institute maintains a commitment to scientific rigor while exploring phenomena that have been largely overlooked by mainstream science. DreamNow is a charitable organization that produces ideas that do good for the world. There’s a great movie I would highly recommend that’s called “College Conspiracy”. I don’t agree with everything it says (just like most things), but it is thought-provoking and gives an alternative view to the mainstream perspective. Press play below to begin watching. We recommend The Landmark Forum for Teens. The power to invent new possibilities; courage to face challenges; and freedom to create, grow, and be fully expressed. This is a great cirriculum for living. Incorporate Accelerated Learning techniques. More has been discovered about how the human brain works in the last 25 years than in all history to date. The Accelerated Learning Method is based on that research. We each have a preferred learning style — a way of learning that suits us best. If you know and use the techniques that match your preferred way of learning, you learn more naturally. Because it is more natural for you, it becomes easier. And because it is easier, it is quicker. Hence the name – Accelerated Learning. By also incorporating well-researched memory techniques, Accelerated Learning makes learning an enjoyable, successful and satisfying experience. Financial Intelligence Inc. is a Canadian educational company dedicated to empowering people to create financial freedom in their lives. By providing basic training in the essentials of personal money management, kids through adults reach a level of financial literacy that impacts their confidence, as well as their competence in meeting life’s challenges. Question: "I want to become a politician, what advice would you give me to pursue my goal?" Start playing politics now! Begin in school by running for class representative, student council, or other club presidencies. Lobby for a new club! Then, get outside of your school and explore organizations like Ontario Model Parliament, Ontario Youth Parliament, Forum for Young Canadians, Presidential Classroom, Harvard World Model United Nations, and the Southern Ontario Model Assembly. Next, contact us and help us run candidates in the next election. With PPSN, you will have much more focussed mentorship and opportunity to gain leadership experience. Whatever you pursue, the most important aspect is that you stay true to your higher self. You are successful when you uncover your personal journey and cultivate your values, awaken your passions, and are called to a meaningful mission. You are going to change careers many times; learn to integrate diverse talents with new possibilities. Who knows what life has in store for you? When you operate from integrity, and are willing to grow personally, you will always be proud of where you stand. Also check out the Canadian International Model United Nations, a United Nations Association in Canada, which will give you amazing networking opportunities. If you are in grade 7 or 8, apply for the Legislative Page Program at the Legislative Assembly of Ontario. TakingITGlobal's mission is to empower youth to understand and act on the world's greatest challenges. Discover Teenergy is a great resource for youths in Ontario. AIESEC is the world’s largest student-run organization. Active in over 1700 universities across more than 107 countries and territories, our international platform enables young people to explore and develop their leadership potential for them to have a positive impact in society. Up with People is a global education organization which aims to bring the world together through service and music. The unique combination of international travel, service learning, leadership development and performing arts offers students an unparalleled experience and a pathway to make a difference in the world, one community at a time. Women in Politics and Government is an exciting non-partisan event that provides a unique opportunity for young women to gain awareness of the diverse career opportunities in politics and government through direct dialogue with women in these fields. Youth leading local and global change – that's the power of We Day, and it's the movement of our time. This web site was inspired by Student Vote 2011. If you do not know about Student Vote, check them out, because they are The Future of Canadian Democracy. Vote mobs are sweeping campuses around the country. Join a Vote Mob near you. Pay It Forward is an inspiring movie about what you can do personally, to make a difference in the world. Press Play to watch the extended trailer. Remember to explore the "Additional Information" below the text of each video, for more solutions, further links, movie clips, and free resources to transform our world today. New content is added daily. It's not your vote that counts -- it's the number of conversations you are willing to have.